We all want our Mac computer to run fast. But if your MacBook starts to show its age, it’s probably not that speedy anymore. Fortunately, for an older MacBook Pro (prior to 2013 models), there is a quick way to increase its performance — upgrading the internal hard drive to SSD (Solid State Drive). If like me, you still love your older MacBook Pro (or yet to decide buying a new pricey MacBook), then this guide is for you. I’m going to share with you a list of the best SSD drives for MacBook Pro, and show you how to replace the internal hard drive with the new one, step by step — so you waste no time and make no mistakes. P.S. I went with Crucial BX200 SSD (see below for my purchase receipt), and I’m quite happy with the performance it has brought to my Mac. But, it is now a legacy product and the company has several new better options like Crucial MX500. Update notice in Mar. 2018: this post was initially published over a year ago, we are here to revamp the content just making sure the information in the article is accurate and fresh as the SSD market changes fast. See more below. Importance: this guide applies to mostly 2010, 2011 and 2012 MacBook Pros with standard 2.5-inch SATA drives. From the extensive research I did, MacBooks from 2013, 2014, and 2015 have very few SSD upgrade options; And newer MacBook Pro 2016 and 2017 models are not upgradable at all. Want to save time exploring? We understand. Here’s a quick rundown of the best SSDs for your Mac. * If you use your MacBook mainly for lightweight tasks such as surfing the Internet, storing pictures, etc., an affordable yet high-capacity SSD is best for you. Crucial MX500 is top pick, followed by Samsung 860 EVO, and the third is SanDisk X400. * If you use your MacBook for heavy tasks like gaming, photo/video editing, 3D modeling, etc., a pricier performance SSD is best for you. Samsung 860 PRO is the best, and OWC Mercury Extreme Pro 6G is a great option too. Below, you’ll find more detailed reviews, but you can also click the links above to get more info about what each product has to offer. First of all, I use a 13 inch Mid-2012 MacBook Pro, and I have successfully replaced my Mac’s internal hard drive (500GB Hitachi HDD) with a shiny new Crucial SSD which cost me about $140 (tax included) by the time I purchased it in 2016. See these screenshots for evidence. I spent about $140 buying the Crucial SSD in 2016, tax included. On April 1, 2016…yep, Fools’ Day but it wasn’t a joke. My Mac went black screen all of a sudden, it stopped working, and I couldn’t turn it on. After sending it to Apple Genius Bar for diagnosis, the geek guy told me it was because the internal hard drive attached to my Mac died and he said the only solution was a replacement. To me, it was devastating! The 500GB Hitachi hard drive was working okay for the past four years, and there wasn’t any sign for it to strike until it happened. As a result, I lost some documents and pictures which failed to be backed up in time. Lesson learned … the importance of backup! I began to shop around for solid-state drives. For two reasons: first I read that SSDs beat HDDs over many aspects (more in the following section). The other is the fear of HDD failure — yes, I hated Hitachi HDD for a while and decided to give SSD a try. After that, I did as much research as I could … both online (reading industry SSD benchmark tests from StorageReview.com, CNET.com, TechReport.com, AnandTech.com, etc.) and offline (asking computer repair shop technician for advice), and I ended up with ordering a 480GB Crucial BX200 SSD on April 5, 2016. After the SSD was delivered, it took me another two days to manage the installation process … opening the hard case, watching OWC and iFixit video instructions, installing OS X El Capitan, etc. the list went on and on. To be frank, I made quite a few mistakes before I got everything right. Finally, the SSD was running smoothly on my MacBook Pro. But, you don’t have to make those mistakes, as I’m going to share all that I’ve learned along the way in this guide. My goal is simple: to save you time exploring what the best SSDs are and avoid pitfalls you might encounter during the installation process. Should I Upgrade To SSD? The debate of HDD and SSD has never stopped. HDD, stands for hard disk drive, has a much longer history and continues to be the mainstream. SDD, short for solid state drive, uses a new storage mechanism and starts to get more traction as its price declines which happened just several years ago. Both HDDs and SSDs have pros and cons. General speaking, HDDs beat SSDs in price and capacity limits; while SSDs are superior to HDDs in performance and durability. If you are interested in learning more, this or this article is worth taking a look. * Your Mac will be much faster. Case in point, once I installed the new Crucial SSD to my 2012 MacBook Pro, the performance increase blew my mind. Let’s take boot time as an example, in the old days, my Mac took nearly a minute to start up entirely. Now it’s only 10 seconds or so; I’m always amazed to see the startup progress bar flash through…no more spinning wheel. Besides, a Mac with an SSD transfer files faster and launches and runs apps faster. * It will be more silent. Since an SSD is non-mechanical, it makes virtually no noise unless the fans spin up. A quiet Mac is better than a noisy Mac. Unlike SSDs, mechanical hard drives contain spinning platters and magnetic heads. It’s normal to hear a whining noise or clicking and tapping when the drive is spinning up or accessing data. * SSDs are more durable. One main factor that leads to traditional hard drive failure is the heat created from continuous motion generated by small moving parts. Only 78% of the hard disk drives we buy are living longer than four years, according to Backblaze. Because a solid state drive does not have any moving parts, it is more reliable thus safer for the data you’ll save or create on your Mac. * SSD price is dropping. According to Lucas Mearian from PCWorld, “The price computer makers paid for solid-state drives (SSDs) declined by as much as 12% over the last quarter”, he noted later “SSD adoption rates in laptop computers will grow by more than 30% this year.” It’s safe to say that SSD price still has room to decline as competition goes on. SSD Drive For MacBook Pro: What To Consider? Okay, now that you’re ready to shop for an SSD and retire the old hard drive on your MacBook. What type of SSDs should you get? Here are some factors you should consider. Note that this article is focused on internal SSDs for MacBook Pro. Regarding choosing an external SSD, the criteria are different. Read this best portable SSD roundup for more. Your budget. Although the price of SSD has been falling, the range still varies a lot. For example, the cheapest SSDs cost more than a hundred US Dollars while the most expensive ones are priced at over $1000 which could allow you to buy a new Mac machine. So, the first thing is to ask yourself — how much can I afford to get an SSD for my MacBook? For example, between $100 and $150, or around $200, etc. Note: a cheaper SSD does not mean it’s not good, there are many other factors such as drive size, the brand, etc. that affect the price. Storage capacity. The volume of an SSD is one of the most important factors you should consider. At this moment, it’s not common to see SSDs available for sale that is less than 500GB in size. In other words, 500GB is almost the base capacity you could choose from most manufacturers. This is because smaller drivers are often slower and more expensive considering the cost per gigabyte. Also, as camera technology improves, photos and videos often have much larger file sizes. If you are used to syncing these files with your Mac, the chances are that your Mac will be filled up much faster than ever before. So, consider a 750GB or 1TB if you have a need for large storage. You could consider 4TB, but in my opinion, it is an overkill, and a 4TB SSD is usually way more expensive. Performance need. There is a saying in the storage world that even the worst SSD is miles ahead of an HDD in terms of speed. But not all SSDs are made equal. Drives with larger capacities tend to be faster in writing and reading, thanks to an SSD’s speed advantage that comes from parallelization. But the difference wouldn’t be night and day. For most MacBook Pro users, a cheaper yet high-capacity SSD is enough to meet your daily computing needs. For those of you who make a living in fields like design, development, or workstation, etc. that requires a MacBook pro to move large files and handle request very quickly, then consider a high-budget, high-performance SSD. The brand. Buying an SSD is a big investment, and it’s serious business as the drive carries all your personal or business data. You don’t want to get an SSD that is insecure, defective or from a manufacturer that doesn’t offer quality customer service. That’s why choosing a brand is important. In general, I buy products from brands that are trustworthy like Apple, Samsung, Crucial, SanDisk, etc. For SSD manufacturers, another factor why brand matters is that quality and warranty. For example, during my research, I know Samsung makes its own SSD controllers, memory, and firmware, which gave me confidence that the company is capable of designing and putting together the entire SSD from start to end. Also, brands like Crucial and Samsung all offer 3-5 year warranty for their SSDs…another bonus. Mac compatibility. Not all Macs support SSD upgrade and not all SSDs fit into the Mac model you own. For example, the most recent MacBooks are all with SSDs and they are blazing fast and based on 4-channel PCIe interface (Source: 9to5mac), there is no need to upgrade unless you have particular reasons. If you are using a Retina MacBook Pro or Air that was made mid-2013 or later, it’s almost impossible to upgrade the hard drive because PCIe-based SSDs don’t use standard connectors. Even if your Mac like MacBook Pro/Air prior to 2013 is able for SSD upgrade, you should be careful because Macbooks don’t use standard SSD designs and MBPs and Airs share different types with each other. Fortunately, MacBook Pros from 2012 and before are compatible with 2.5-inch SATA drives which most SSD manufacturers provide. For general users who prefer a cheaper yet high-capacity SSD, Crucial MX500 is my top pick, followed by Samsung 860 EVO which is as great as Crucial. In case both options went out of stock, SanDisk X400 is an excellent alternative. For power users who are less price sensitive and have high-performance demands, Samsung 860 PRO is surely a winner in the market. If it is not available, OWC Mercury Extreme Pro 6G is a great option. Pro tip: once you secure the desired SSD, we also suggest you get the BatPower S2 Mac Laptop Screwdriver set kit — which includes the right screwdriver and other tools you’ll need to open your MacBook Pro case to get the SSD installed. As I said in the beginning, I’ve been using a Crucial BX200 480GB (now a legacy product) with my mid-2012 MacBook Pro for about eight months — without any problems! I wholeheartedly recommend Crucial SSDs. MX500 is popular because of its price advantage and various capacity options (from 250 GB to 2TB). * Price is very competitive. 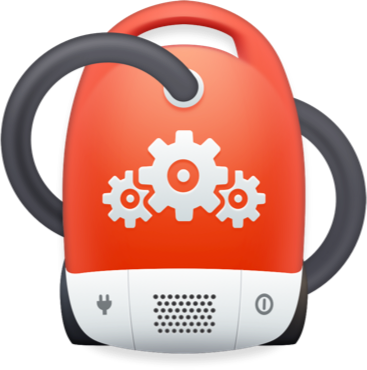 * Strong security with hardware encryption. * Plenty of unique features other products are unable to offer. The Samsung EVO series has remained the top position in SATA SSD for several years thanks to its many merits such as high speed, 5-year warranty, and technology — which I mentioned earlier that Samsung is able to design and make key SSD controllers and parts on its own. Another perk of choosing Samsung is its Magician software, which is great for drive installation, maintenance, and faster transfers. * Up to 4TB in size 5-year warranty. * The Samsung Magician software only works with PCs, not Macs. SanDisk has word of mouth among its memory cards and flash drives. The company also makes solid state drives. SanDisk X400, relatively new to the SSD market, aims primarily for business notebook upgrades. The SanDisk X400 has four capacities that range from low to high volume. What impressed me most is its performance, which is as good as Samsung 860 EVO. * Greater endurance with SanDisk’s nCache 2.0 technology. * Does not come with software like Samsung Magician. This product is essentially an upgraded version of 860 EVO. PRO is designed for gaming and professional computing, while EVO is for everyday computing. The differences are that PRO has higher maximum sequential read speed (i.e. up to 560 MB/s) while EVO is up to 550MB/s. But 860 PRO is much more expensive than 860 EVO as well. * Excellent performance, much faster than 860 EVO. * A lot of great features and capacity options. * Samsung Magician software is not available for Mac users. * Changed the warranty from 10-year to 5-year. OWC stands for Other World Computing, is a computer hardware provider since 1988. I got to know the brand when I was searching for video tutorials about how to open my MacBook Pro case. The OWC team has created tons of really awesome videos that make it hassle-free to replace any Mac components all by yourself. The OWC Mercury Extreme Pro 6G SSD features high-quality and supports disk encryption. * Offers useful video tutorials for SSD installation. * Price is a bit higher than that of other options. Disclaimer: this MacBook Pro SSD roundup review and the guide below are primarily based on 1) my own experiencing shopping and installing a solid state drive on my mid-2012 MBP; 2) the expertise of SSD and computer experts with whom I consult; 3) the information accessible via the manufacturers’ websites. As thus, the above recommendations are my own opinions and I reserve the rights to change my opinions when necessary. How To Install A New SSD To MacBook Pro? Note: if the internal HDD in your MacBook Pro has crashed or died (as happened to my MBP, sadly), I highly recommend you schedule an appointment with Apple Genius Bar. Their Geek team will install the latest macOS for you, so you don’t have to take the time to make a bootable installer. Also, you don’t need to buy any screwdrivers or tools as they will open the case for you as well. The easiest way is to use Time Machine. You can also clone your Mac hard drive to an external drive. Cloning is complementary to backup methods like Time Machine, and I encourage you to do so if you have extra portable drives. The goal is to ensure you can get up and make your Mac work again in minutes in case any system crash/errors during update. The USB installer allows you to quickly boot up your Mac just in case, especially when the Internet Recovery option isn’t available to use. All you have to prepare is a USB flash drive with a capacity 8GB or larger because the file size of the macOS Sierra installer is 4.86 GB (and the latest High Sierra takes 14.3 GB). You can read this article for how to make it. This is the key part that you need to be extra careful. Any mis-operation could damage your Mac. Fortunately, OWC has recorded a detailed instruction in this video. I highly recommend you watch it before you start. Once you finish the SSD replacement work, plug in the USB flash drive (with the bootable installer you made in Step 2) to your MacBook Pro. Now press the start button to turn on your Mac. Hold down the Option key as soon as you hear the reboot tone. Select the disk named “Install macOS High Sierra” and install the operating system to your MacBook Pro. After that, use Time Machine to restore all the data. Follow the instructions from OSXDaily. They are quite helpful. What Is TRIM & Do I Need To Enable It On My SSD Mac? If you want to enable TRIM, this CNET article shows you how to do step by step. You can also watch this YouTube guide if you prefer video tutorial. Just a kind warning: before you proceed, make sure you backup your Mac just in case. * Always backup your SSD data to another place, be it an external drive or cloud storage, it doesn’t matter. Backup is the only effective way to avoid data loss disasters. * Never erase or format your SSD drive. You’ve learned the difference between how HDDs and SSDs work, there is no need to wipe an SSD clean by making unnecessary write cycles because doing so will only degrade your SSD life. * Update firmware from your manufacturer. Most solid state drive providers like Samsung release firmware updates regularly. It’s always a good idea to visit the manufacturer’s website and install the firmware. * Do not use up all your SSD storage space. Even if you’ve chosen a small-size SSD for your MacBook, aim to have at least 10% free space. Clean your Mac on a regular basis with apps like MacBooster. * Avoid exposing your SSD and MacBook to extreme temperatures. Although SSDs are more durable and resistant than HDDs when it comes to cold and hot, leaving your SSD-based MacBook Pro in such environment too long is a bad idea for sure. When your old MacBook Pro runs slow or starts to act up, you need to watch out as there could be something wrong with the hard drive. In my case, I’ve personally experienced HDD crash with my mid-2012 MacBook Pro. Fortunately, you don’t need to abandon your old Mac and get a new one. Replacing the internal hard drive with a solid state drive has been a proven way to boost your Mac performance, to a great extent. However, choosing the best SSD for your MacBook isn’t an easy task as many factors are out there for you to consider. I hope the buying guide above has given you some directions. Whether you are a general user who’s selected a Crucial MX500, or you are a power user who has secured a Samsung 860 PRO, they are all good SSDs for Mac laptops. Also, don’t underestimate the installation part as it could be quite time-consuming if you don’t have the right tools at hand. I hope you find the guide and tips I shared useful. If you have any additional questions regarding SSDs for Mac, leave a comment below.